After a 16 year break as a professional yachtsman for 10 years, I recently bought a small high performance yacht (dinghy) to teach my children yachting. Searching various Perth yacht clubs websites for what class of yachts they sailed in Perth waters wasn't easy. 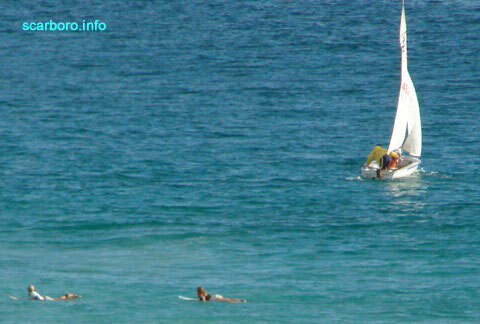 Here all sailing clubs and yacht clubs in Perth are summarised on one web page alphabetically. Fremantle Yacht Club good access to Garden Island and Rottnest Island. 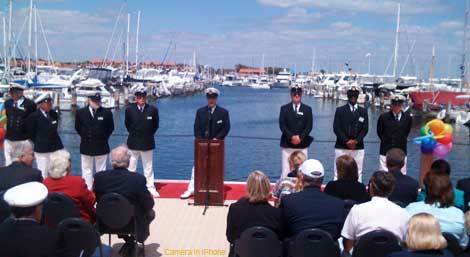 Hillarys Yacht Club photo above of season opening by commodores of the Hillarys Yacht Club, Perth north. 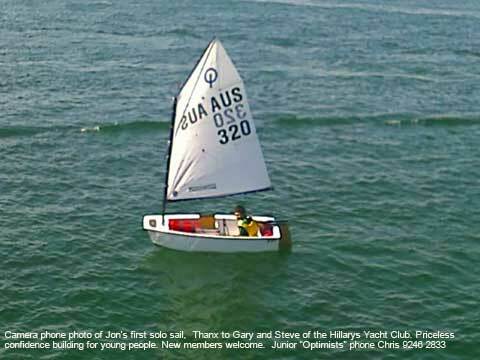 Inviting new junior sailors for new Optimists, Mirrors, Puffin Pacers, Lasers, 420, Keel racing yachts, Cruising yachts. We are corporate members of the Hillary's yacht club because I like ocean sailing and can vouch for the helpful friendly yachties there. Your Perth yacht club listing or advertising here. 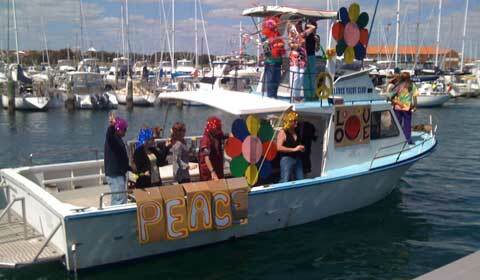 Royal Freshwater Bay Yacht Club Optimists, Mirrors, Puffin Pacers, Lasers, 420s, Keel racing yachts, Cruising yachts. Easy nice river beach sand to launch into safe sheltered water. 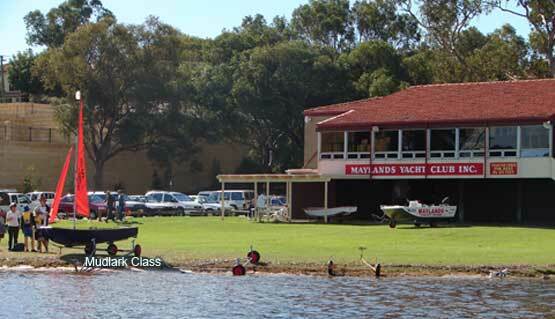 Royal Perth Yacht Club function centre on the Swan River is a popular Perth functions venue. If I've missed your yacht club in Perth contact the directory of Yacht Clubs Perth with your yacht club URL and classes of yachts sailed in Perth and yacht club contact details. 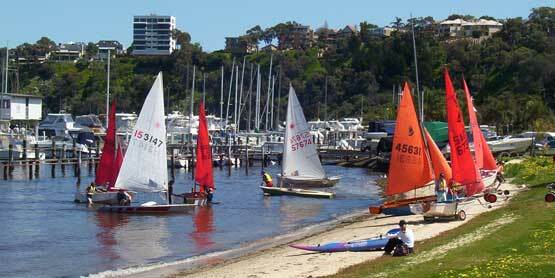 Claremont Yacht Club on Swan River.